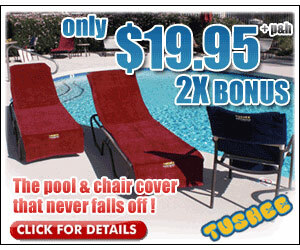 The Tushee Comforter is the alternative to just placing a towel on any chair, bench, or pool lounger. It protects against dirt, sweat, and heat, while never falling off or blowing away. The Tushee forms a secure pocket over any seat and can be adjusted to any width or length to offer a soft comfortable seat. Relax and look stylish on a soft plush Velour surface that provides real comfort. Plus, the personalization makes it a pleasant surprise gift for him or her. A must-have for ANY place you plan to sit. It folds and secures for any seat. Keep it in the car or take it on vacation. Your TUSH deserves it! Bonus! Get a free tiny Tushee or Tushee Tote with any order!